Skyline Construction CO | COMMERCIAL BUILDING RESTORATION | Steinauer NE. 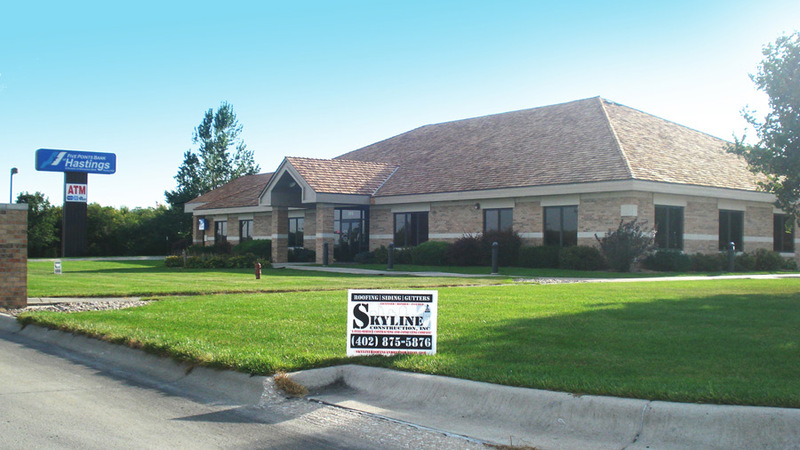 Skyline Construction, Roofing and Restoration offers a full array of construction services. There is no residential or commercial project too big or too small. BUILDING MAINTENANCE is one of the most important things you can do for the longevity of your building. The services we provide can address and handle your project needs. We use the highest quality materials for each application and our qualified staff with their experience and work knowledge will complement the end result with their work. BRICK & STONE are one of the most critical areas in your building because the mortar bed joint supports the brick or stone. Once the mortar joint starts to crack, it creates a void that will let water penetrate into the crack causing the mortar to fall away and weaken the structure of the wall. Once this process starts, large areas of your wall become weak and structural problems begin to occur in the wall and building itself. RE-POINTING damaged joints are repaired by grinding out the mortar bed joints approximately 1-2 inches deep, water cleaning the joint and tooling or striking new mortar into the joint. TUCKPOINTING is tooling or striking mortar over the cracked joints. Most of our projects are re-pointing projects. We grind out the deteriorated mortar bed approximately 1-2 inches in depth, clean and power wash out the mortar dust. We then mix mortar applying bonding agents and apply it to the joint. We then tool the new mortar into the joints and brush it smooth. For proper cure throughout the pointing process the entire wall is sprayed with water to prevent the mortar from drying out too fast. After pointing we then clean the brick or stone and apply a waterproof sealer that will repel water away form the mortar adding years of longevity to your building. A few other replacement services we provide for building restoration are foundations, Epoxy fillers, wall caps, window sills, door and windows, decorative metal fascia, masonry patching and calking, etc. 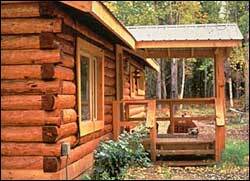 LOG HOME RESTORATION MAINTENANCE is one of the most important things you can for your log home. Without proper care, log deterioration will occur along with the costly effects of lost heating efficiency. Did you know after the bark has been removed, the logs no longer have a water barrier to repel moisture and natural elements away from the logs? The logs will begin to dry out, shrink and crack, causing areas for water to pool and penetrate into the log itself. The effects are noticeable when this occurs. You will see discolorations of gray in the logs along with splitting and large cracks. In the worst cases the logs get soft causing areas to fall away. This is why it is vital to keep a water repellent stain and UV water repellent sealer on your logs.. HULL BLASTING is a process that will remove discoloration and excess stain and sealer build up down to the log itself. When this process is complete your logs will be whitened and look almost like the day your home was built. STAINING & SEALING the logs of your home is the only barrier for keeping out nature's elements making this process of owning a log home one of the most critical. This process must be done before discoloration and deterioration of the logs has begun. The stain we use has built in UV inhibitors and water repellent capabilities along with other inhibitors that help control mold and mildew and a variety of other things. If you keep up with the staining process you will save the expense of future costly log problems that will occur. LOG REPAIRS due to cracks in your logs and splits in your chinking can be repaired with a stretchable material called chinking. This stretchable material will keep water from pooling and penetrating into your logs. If the log has deteriorated to the point where it is falling away then we can replace your damaged logs. We provide a variety of other restoration log home services, and can handle any problem you might have. If you didn't hire Skyline Roofing, you paid to much! Site by WEBPRO | © Skyline Construction, Inc. All Rights Reserved. © Skyline Construction, Inc. All Rights Reserved.